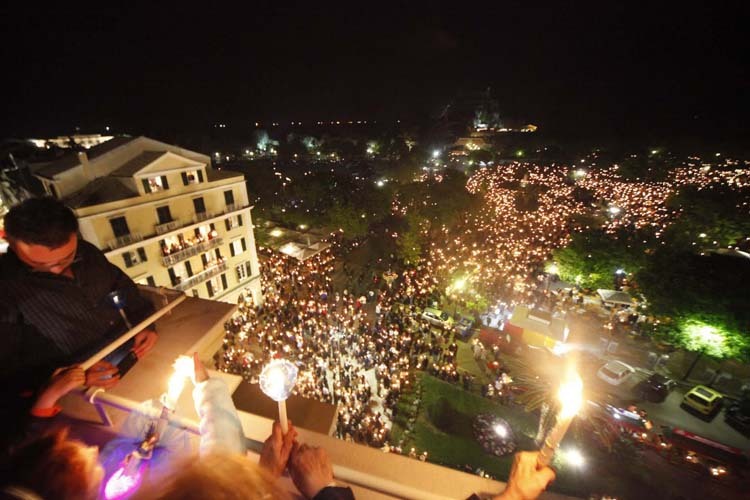 On the Greek island of Corfu, known to the Greeks as Kerkyra, Orthodox and Catholics have celebrated Easter together since 1588, without interruption, as an act of brotherly love between two communities. It all began when Kerkyra was under Venetian Rule (1386-1797), and the Greeks of the Ionian Islands were granted permission to not have to follow the Gregorian Calendar, introduced by Pope Gregory XIII in October 1582, but continue following the Julian Calendar, which they had followed for centuries. Catholics in Kerkyra also requested the same, and permission was granted to them to use the Julian Calendar. According to Spyridon Papageorgiou, who wrote the History of the Church in Kerkyra in 1920, because the Orthodox and Catholics lived in such close proximity to one another, it seemed odd that while the Orthodox would celebrate Holy Week, at the same time Catholics were celebrating Easter. And so when one year the Orthodox were keeping the mournful character of Good Friday, the Catholics were ringing their bells with paschal joy. When a certain Orthodox heard this, he became greatly disturbed and confronted the Catholic sacristan who rang the bells, which led to a scuffle and the death of the sacristan. Instead of this bringing further division between the two communities, it brought them closer together for the sake of peace. 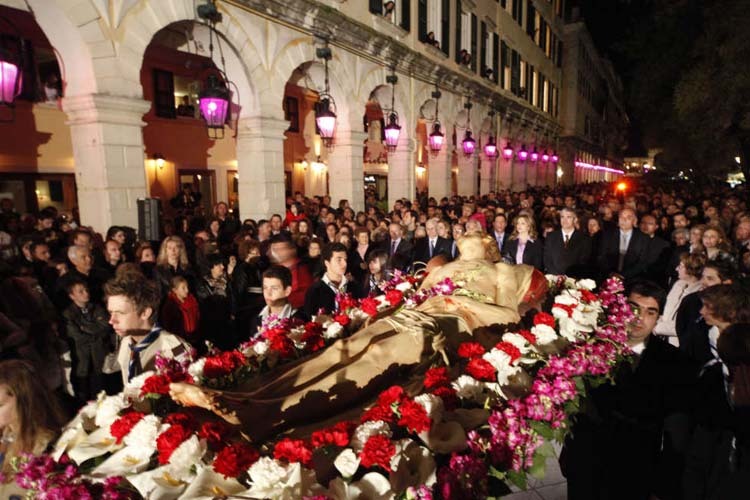 Since then, until today, Catholics and Orthodox celebrate all the common feasts, including Easter, together on the same calendar. Today, when the Holy Light arrives in Kerkyra from Jerusalem on Holy Saturday evening, it is received by the Orthodox Metropolitan of Kerkyra, and in a special ritual his first delivery is to the Catholic Cathedral of Duomo, where the Service of the Resurrection then takes place and ends at 11:00PM, in order for the Catholics to attend the Orthodox Service of the Resurrection at midnight in the Upper Square of Spianada, which is the largest square in the Balkans.